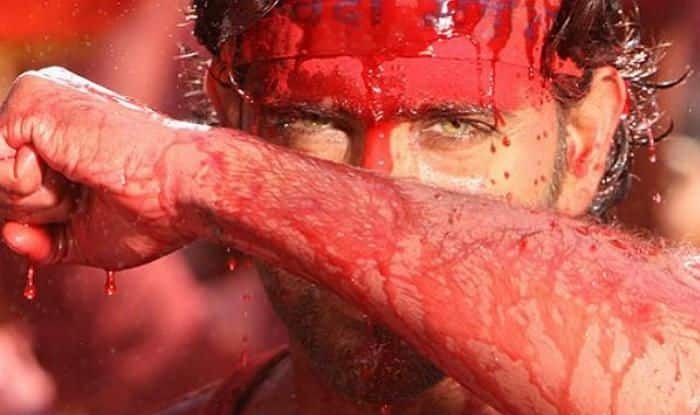 Hrithik Roshan took to social media to share a few unseen pictures from the sets of Agneepath as the film completes seven years. He added, “I was shooting for ZNMD in Spain when Karan Johar sent Karan malhotra to narrate the script inspite of me very vehemently turning down the idea of a remake of the classic. .He was right. .Cause after I heard the narration, I just couldn’t say no.. Rest is history..
Had some fun while meditating on the poem today with my phone. .
Hrithik played the character of Vijay Dinanath Chauhan in the picture directed by Karan Malhotra. The film starred actor Sanjay Dutt essaying the role of famous villain Kancha Cheena. Agneepath had Priyanka Chopra playing Kaali, Vijay’s love interest while Katrina Kaif was seen performing a special dance number-Chikni Chameli. The movie was produced by Karan Johar under Dharma Productions. Hrithik will next be seen in Super 30. The film is a story of real-life Indian mathematician, Anand Kumar from Bihar, who launches a programme called ‘Super 30’ to help 30 IIT aspirants crack the entrance test. Expressing his excitement for the film, Kumar had earlier told Mumbai Mirror, “I trust Vikas Bahl (director) with my life story and I believe that he will make a heartfelt film. I am a rooted guy so I feel some level of an emotional quotient is required to live my life on screen. I have seen that in Hrithik – on and off screen. I have full faith in his capabilities”.